She is trained in Skin Scanning & SkinCeuticals skincare. She has special interest in Jane Iredale mineral make up. Emma has a background in Beauty therapy. 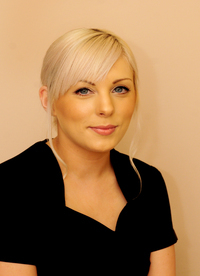 After gaining her NVQ3 she worked in different areas of the beauty industry, from practising beautician to skincare consultant for some of the major cosmetic houses. She excelled in make-up artistry, which led her to work in wedding & photographic make up.